The AQIS’17 conference focused on quantum information science, an interdisciplinary field bridging quantum physics, computer science, mathematics, and information technology. Now that the AQIS 2017 is over, you can visit the Post Conference tab for group picture, student poster awards and slides updates. 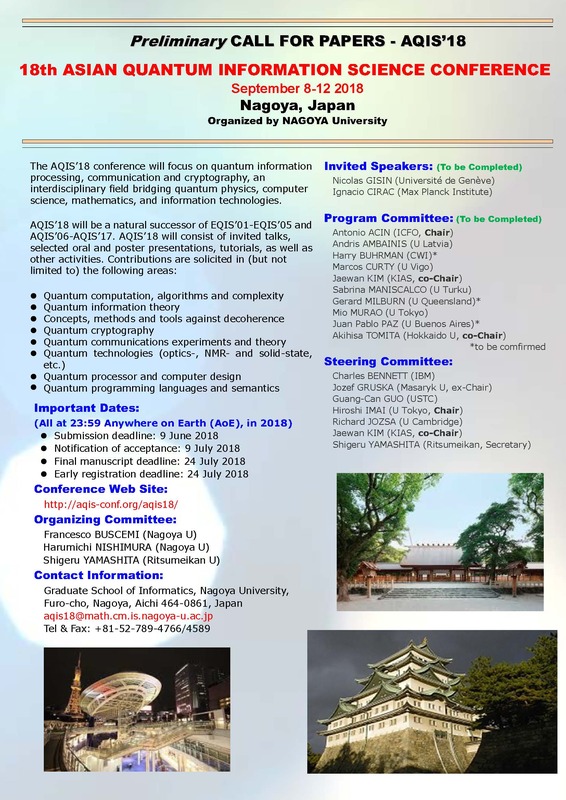 AQIS 2018 will be in Nagoya, Japan from 8-12 September. See you there!